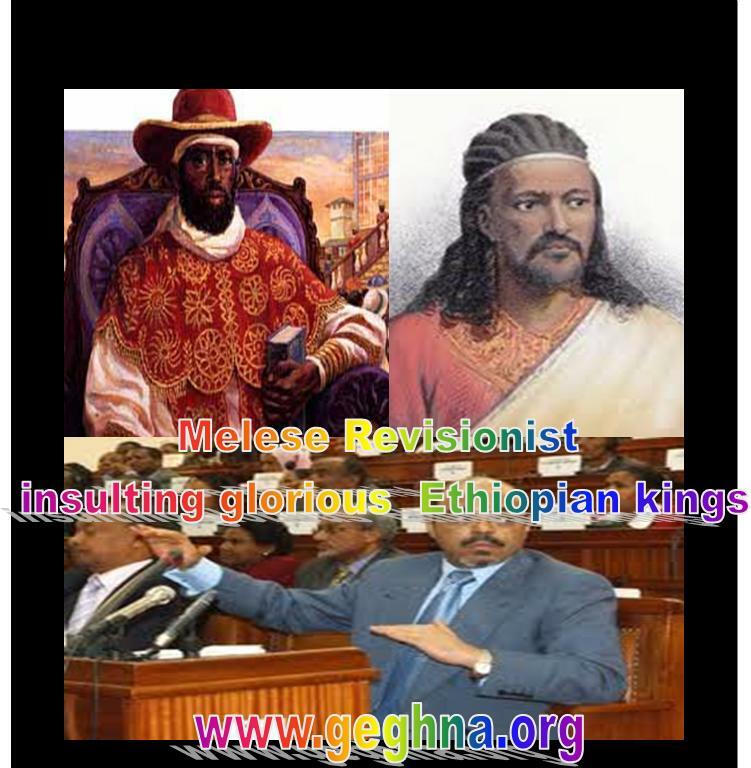 The revisionist Melese Zenawie shamelessly criticized the Ethiopian great Kings. King of Kings Tewedros the unificator of Ethiopia was insulted by this genocidal dictator of Ethiopia. King of Kings Menlik II the victor of Adwa the pride of the all Africans and people of African descent is criticized by the enemy of Africa in Addis Ababa in power. We believe he showed finally his true image as the destructor of Ethiopia and its glorious history. He blamed them being as war mongers and destabilizors of Ethiopian unity while glorifying colonial Japan and forgetting his role in breaking Ethiopia in Ethnic lines . Thus dividing Ethiopia based on irredentist premises with a right to secession assured in his constitution, a country they had unified and defended successfully from European colonization. When it comes to colonial Japan we refer him to the countries of Asia Pacific and China to give him some classes. A history they are not even proud of today which they try to wrewrite by developing fraternity with these countries.